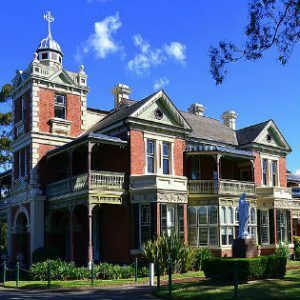 Each week I mentor Clemente students at the Australian Catholic University, Strathfield Campus (pictured). My connection with the Clemente goes back to its beginning here in Australia. Most people ask me what is Clemente? Clemente Course in Humanities was founded by Earl Shorris in America in the 1990s. He believed that the only way out of the poverty cycle was not to reinforce repetition but to learn through the humanities to seek freedom and to learn of reflection not reaction. Earl Shorris visited Australia in 2003 and I was present at a talk he gave where he spoke about the success of the initial trial of his theory in Lower Manhattan and how there were then numerous centre offering the course in other parts of the USA. I came away from the evening keen to learn to learn more about the program. Shortly after Earl Shorris’ visit The Australian Catholic University in collaboration with the St Vincent de Paul Society offered the first Clemente in Australia at the Vincentian centre at East Sydney. They were given financial assistance from The Sisters of Charity Foundation and the Sydney City Council. This was my first involvement with the program. The students who attended what was the first university course of its kind experience multi disadvantage and social isolation. There are now thirteen centres across Australia offering the course. In 2014, when I returned to Sydney, I volunteered with the Clemente program and Associate Professor Howard, National Leader, Clemente Australia, asked if I would mentor some of the students at the Strathfield Campus. I go to Strathfield on one or two days a week and meet with three to five students each week on a one-to-one basis for one to two hours. The students I mentor are mature age students who have completed preliminary courses at Clemente at either Mission Australia, Surry Hills or the Community centre Campbelltown and have qualified for tertiary studies at the university. All of them are multi-disadvantaged, four of them suffer mental health problems, one of them was homeless until he moved into the Salvation Army centre, one girl is from Sierra Leone and has language and cultural issues. All struggle financially. My role is to provide help and encouragement to the students. This might mean helping them interpret a question, discussing their assignments, reading assignments, pointing out that they haven’t answered the question, spelling needs to be checked or a reminder to add references or acknowledge work quoted. Sometimes it is just providing a listening ear over a coffee. A student will often email or phone at home me when a problem arises with their assignments. The Institute of Community Engagement at Strathfield, under the leadership of Professor Jude Butcher and Associate Professor Peter Howard provides a welcoming and friendly environment in which to volunteer and I am always included in their activities and celebrations. The Clemente students very comfortable to call and ask for assistance’ and I suspect to see if there is some there is some cake or chocolates on offer. The time I give to the Clemente students I find very rewarding. I get far more from them than I give to them. This article first appeared in Keep In Touch (KIT) in December 2016. If you would like to be included in the KIT magazine email out, please email James Griffiths at the Congregation office and he will add you to the distribution list.